Hello. Thank you for participating in the 9th Annual Indie Wed in Chicago. This vendor packet should hopefully answer any questions you may have regarding your participation. Print this out and read through it thoroughly. It has changed since last year so returning vendors, take note! I can only send you an invite to the address you use to access Facebook. For many, this is a personal email address. 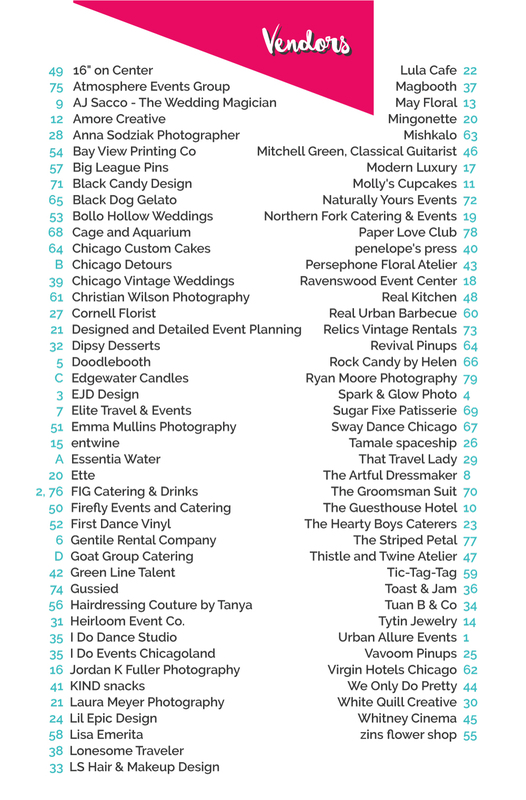 You have signed up for either a 3′, 6′ or 8′ table space*, caterer’s space, photobooth space, or an 8×8‘ booth space**. (check your PayPal invoice if you don’t remember which). When you arrive at your space, each vendor will receive a packet including vendor badges and a program. 3′, 6′ & 8′ Table Spaces: tables are 30″ deep plus enough room to stand behind. Table linens are NOT included. Photobooth Spaces: a roughly 7×7′ empty space with electricity. No table provided. 8×8′ Booth: an 8×8′ booth with three pipe/drape walls. Walls are thin white drapes. No table provided. Caterers Space: Will be sending you each a private email about your needs. All vendors MUST adhere to the size of the space provided. At the end of the show, all vendors will be responsible for making sure your space is free of debris and garbage at the end of the event. Any vendor who leaves a mess will not be allowed to participate in future events. The standard table isn’t very attractive. Bring something to cover the table. We suggest something that extends to the floor so you have space to hide your belongings. Bring anything you need to make your space stand out. Think about how your booth will look in a setting with a large crowd. While soft, subdued colors look lovely for an actual wedding, a more muted booth can get lost against the brick walls. Look at photos of past Indie Wed booths for ideas. We typically suggest that you bring 300-400 of your promo materials. You may only give out a fraction of that but it is good to be prepared. You will have the opportunity to get your info into the hands of a lot of people so think about how you can engage the crowd (without being obnoxious or pushy). Have items easily accessible on your table for those couples who may just want to walk by and pick up your info. Some people prefer to get a lot of info and take it home to digest. This will be a LONG day. You will need to stay hydrated and fed. While there are restaurants in the area, you may not have time to break away. And though there will be caterers at the event, I’m sure they would prefer their samples to go to attendees. Bring a water bottle that you can fill and some snacks to keep you nourished. Everyone needs a bathroom break or a chance to stretch their legs. This is also a good opportunity to walk around and network. Having a helper will give you a chance to get out and mingle with other vendors too. **Please Note: You are not allowed to suspend anything from the ceiling. The first floor contains a large (and expensive!) collection of rare cars and vintage neon signage. All displays must not impact any of these items. If you need to hang something, please bring a free-standing display or rent some pipe to hang from. The venue does have WiFi though we cannot attest to its strength or reliability. There is a code and we won’t know it until a day or two before. If you have a phone with 3G/4G, consider using it as a personal hotspot for your needs. On Event Day you may set up starting at 8 am. You will NOT be allowed inside before 8 am as we have a lot of prep to do first. Arriving between 8 – 9 am – use 4025 N. Ravenswood vendor entrance. Arriving after 9 am – use 4043 N. Ravenswood attendee entrance. You will have to check in at the registration table. Unload items quickly at entrance then move car to park it. Please park only in spots along the train tracks side, to allow plenty of attendee parking. Inside, spaces will be clearly marked with your name/space number. Please begin breaking down your space immediately at 4 pm but not before. Pack up your space then bring your car around to load out. Use the 4025 N. Ravenswood entrance to load out. Please make sure you clean up after yourself. Again, any vendor who leaves a mess will not be allowed to participate in future events. We would like to have everyone loaded out by 5 pm if possible so that cleaning crews can begin to clean up. We need to have the names of every vendor (and staff/helpers etc) that will be in the building. In the past, we have had people show up at registration claiming to be a vendor’s employee yet we were not given their name. If this happens they will NOT be allowed entry. Registered participants will receive up to TWO badges/name tags during set up that will allow you to come and go from the building during show hours and to identify you to volunteers as exhibitors. If your business requires more than two workers (such as a caterer or musical group) please email us just the quantity needed and we will look at each request individually. You will still need to fill out the form. Please note, additional helpers can gain admittance with one of your complimentary tickets (see below for details). To request badges, ALL VENDORS must do so using this form: Vendor Badge Request Form. Please submit by January 29th. 1. Chances are, they’ve already looked at the competition anyway. There is a reason they have come to you in the first place and it is up to you to sell yourself. There will be competition at Indie Wed and any other event you do. You have to ignore any fear you have about this and just focus on making the best case for all attendees as to why they should hire you. Besides, they will remember you for being the vendor that gave them this great day of wedding planning. Then you can plan for them to meet at your booth where they can get a glimpse of you in action. Let them experience your services! 2. Tickets aren’t just for potential clients. What about the couple that you’ve already booked but they still haven’t hired half their other vendors. Encourage them to go to a place where they can find like-minded vendors (who you most likely work with often anyway). They will be able to take care of a ton of stressful planning in a fun atmosphere and have you to thank for it! Feel free to host giveaways on your blogs or otherwise creative ways to promote yourself using these free tickets. This year, each participating company is entitled to 8 tickets. As it gets closer to the event we may release more comp tickets. Each comp ticket is good for one individual so a couple would take 2 tickets. Please submit by Monday, January 29th. Important: Under ‘Guest Info’ please enter the name & email for **the person receiving the ticket**. **NOT** your information. Make sure you fill out this information and **do not give the link to anyone else. ** We will only accept the first 8 tickets you sign up for. Vendors who abuse the system may be held responsible for any extra tickets. Please let any guests know that they will receive a confirmation email close to the event. We enter these manually and therefore do them in batches closer to the show. As with every event, we will have swag bags for the first 50 couples. They will receive a limited edition, silkscreened tote bag with a list of participating vendors who are offering special swag. Swag items are small samples or items that make a big impact over just a postcard, business card or basic advert. If you would still like to offer a little giveaway item to those with tote bags, that would be great. Please prepare at least 50 items. Let us know if you have something special for swag bag holders by Jan. 19th. So that we can print up a card to hand out with their bag indicating participating vendors. Please fill out this form: Swag Bag Sign Up Form. The attendee entrance is located at 4043 N. Ravenswood Ave, just North of Irving Park. The vendor entrance is actually a bit South down the block at 4025 N. Ravenswood. From the North: Take I-90 / 94 East towards Chicago. Take Exit 44A Keeler Ave / Irving Park Rd. Turn right at Keeler Ave. Take 1st left onto Irving Park Rd. Continue about 3 miles then turn left on N. Ravenswood Ave (immediately after you pass under the “L” tracks). 4025 is about 1/2 block up on the right. From the South: Take I-90 West towards Chicago. Take Exit 47B to Damen Ave / 2000 W. Turn right at N. Damen Ave. Continue about 2 miles then turn left onto Irving Park Rd. Turn left on N. Ravenswood Ave (immediately after you pass under the “L” tracks). 4025 is about 1/2 block up on the right. By “L” train: Take the Brown Line to the Irving Park Station. Walk 1/2 block East then turn left on Ravenswood Ave. 4025 is about 1/2 block up on the right. By bus: Take the X80 Irving Park Express to the Irving Park Brown Line Station stop. Walk 1/2 block East then turn left on Ravenswood Ave. 4025 is about 1/2 block up on the right. For those coming out of town who may need suggestions for accommodations, please email us at info@indiewed.com and we will recommend some places to you, depending on your transportation situation. In addition to our regular social media and print campaigns, we rely on vendors to help get the word out. Every vendor should be actively posting about the event online and talking about it with clients, friends etc. This is a team effort! Banners and badges can be found at the bottom of the page. Save them to your desktop then put them on your websites, blogs, Facebook pages and more. Help us spread the word! The show will only be as successful as the work we ALL put into it. Also, we have a few thousand postcards that need to be distributed throughout the city. Please let us know if you can help volunteer to distribute these in your area. Sign a basic release/waiver electronically by following this link: Waiver to E-sign This only takes a few moments to complete. Please note, once you fill out the form you may be required to verify your email address. The waiver will NOT be complete until this step is done. (If you have previously submitted an online waiver for Indie Wed in the past, you may not need this step – please read online prompts carefully). 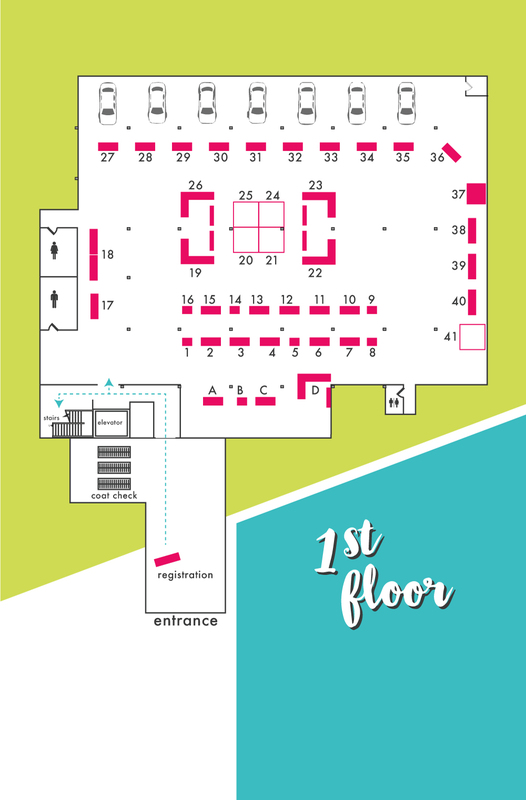 You can find your location below (click to enlarge) or by downloading a copy of the floor plan. (Please note that if any changes need to be made, you will be notified asap. Feel free to download these and add them to your website, social media page etc. Just right click and save or drag to your desktop. Indie Wed, LLC, it’s staff, and co-producers will not be responsible for any damage or loss to vendor property, vendor sales, and/or possible injury, or death to the vendor. The event will go on regardless of weather. Refunds will not be given to any vendors that do not show up. Your space cannot be sold to anyone else. 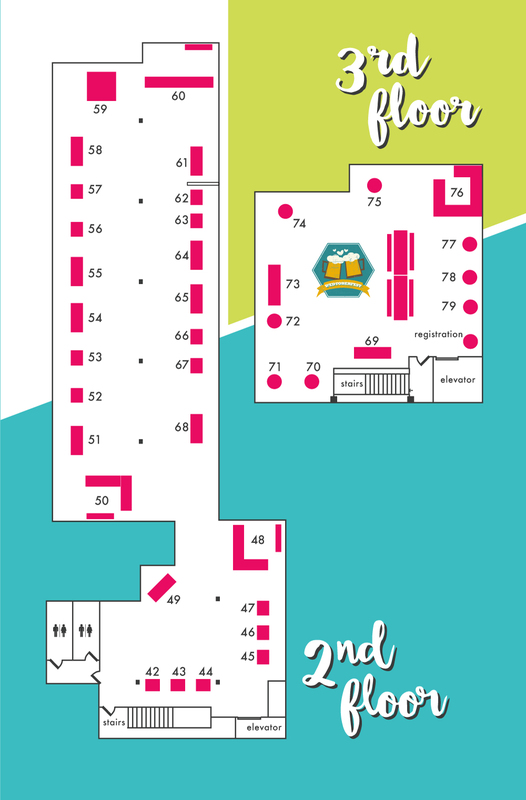 Table and booth assignments are also subject to change. By participating in the event, you agree to these terms.